I wrote this post for the “All the Russias” blog maintained by the Jordan Center at New York University, and it went live just this week, so I grabbed the chance to post it here as well. If you’re interested in Russia more generally, both its past and its present, make sure to check out “All the Russias” for yourself. Ten years ago, when I began writing a series of novels set in Russia during the minority of Ivan the Terrible, the last thing I expected was for the books to have present-day relevance. Yes, like most scholars of pre-Petrine Russia, I cut my academic teeth on Edward L. Keenan’s “Muscovite Political Folkways” (1986), an article that, however schematic and speculative, still resonates along the corridors of time in fascinating ways. But a lot has changed since 1538, whatever principles of Russian political culture continue to play out in contemporary life. 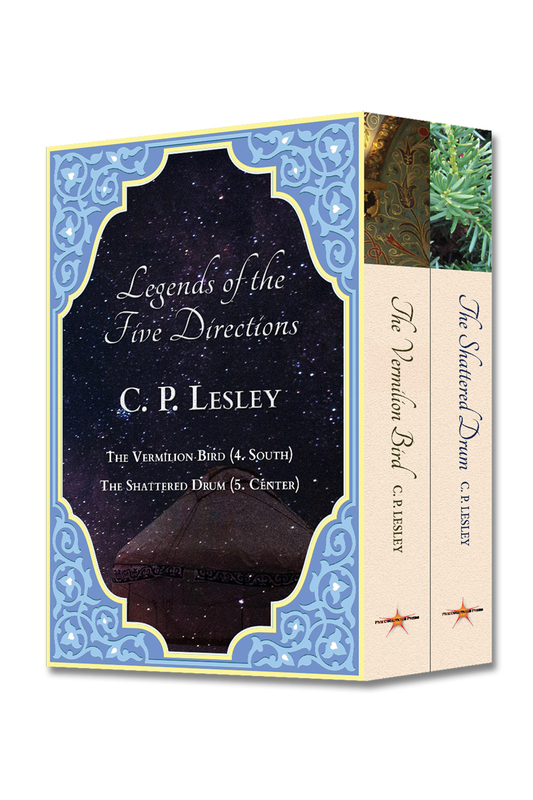 On the contrary, my goal in tackling the Legends of the Five Directions series was simple. Because I work as an editor rather than a professor, and publishing continues all year, I found it difficult to schedule the kind of intensive archival study necessary for serious academic research. I’d already begun writing fiction for fun, so why not put my PhD to work and get back to the subject I love? What I wanted, more than anything, was to produce historical fiction that accurately reflected what scholars have learned about social, political, and cultural life in Muscovy, ideas developed in great detail yet still missing, with rare exceptions, even from college textbooks. The general public has little familiarity with academic history on Russia in general and Muscovite Russia in particular, and that observation includes novelists. 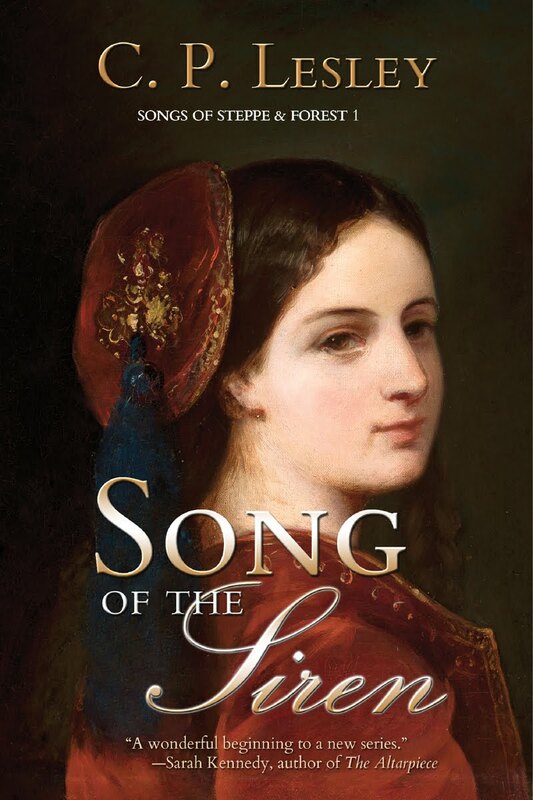 As a result, historical fiction tends to get at best a mixed reception from scholars, often deservedly so. That’s true everywhere, but it’s especially true of fiction set in Russia. But there is no fundamental reason why historical fiction can’t conform to the general outlines of the historical record. It can never be wholly accurate, since it involves imagined feelings, invented dialogue, and characters who never existed or about whom little information survives. Novelists can’t say, “we don’t know.” They must fill in the blanks, decide among the available options, and craft the whole into an emotionally satisfying tale. Fiction writers can, however, choose to respect the details we have, understanding that exact sequences and events are themselves clues to the underlying story. 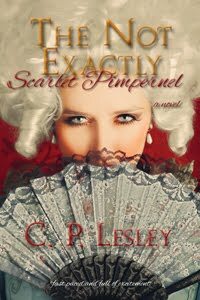 Pursuing that approach to historical fiction became my goal, and being a specialist on the sixteenth century, I believed I could accomplish it. If, in addition, I convinced a general audience that Russia had more in its past than vodka and communism, so much the better. 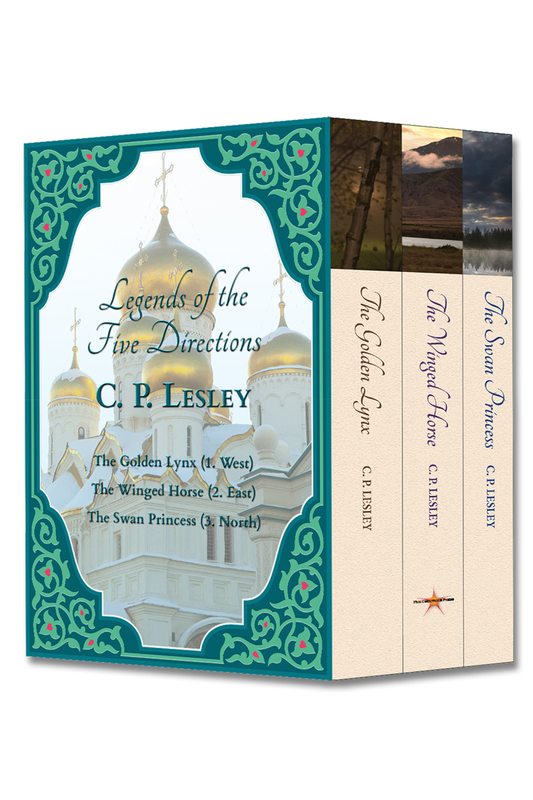 Then in March 2014, the very month in which I published The Winged Horse (Legends of the Five Directions 2: East), the Russian Federation formally annexed Crimea. Russian President Vladimir Putin justified his land grab by insisting that “Crimea has always been part of Russia.” Yet here was my novel, set on the steppe, in which a Crimea that was very much not part of Russia played a significant role in the events—fictional and otherwise—affecting my characters’ life choices. 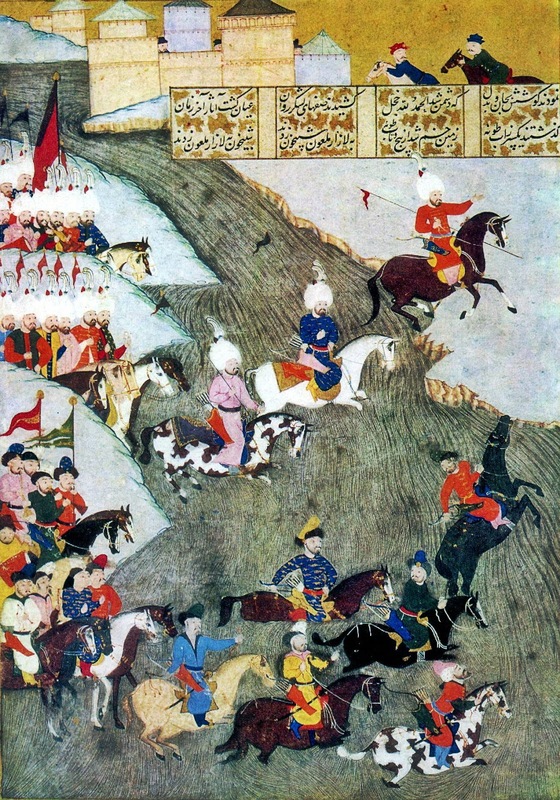 If anything, Crimea in those days was Turkish, a vassal state of the Ottoman Empire, although the sultans appear to have contented themselves with appointing its khans, calling on Tatar troops during military campaigns, and establishing strategic control of Crimea’s section of the Black Sea coastline. The Girei (Giray) clan that ruled Crimea allied with Russia under Ivan III (r. 1462–1505), only to fall out with his successor, Vasilii III (r. 1505–1533). 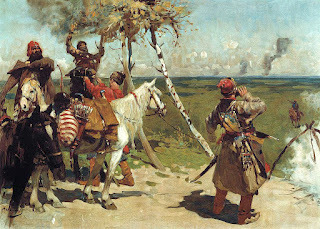 Whether the falling out took place because Sigismund I the Old of Poland-Lithuania paid better, because Vasilii appointed a foe of the Girei clan to rule the subordinate principality of Kasimov, because Russia and Crimea went head to head in a contest to take over the rival khanate of Kazan, or some combination thereof, the result was a powerful, semi-independent, Ottoman-supported, hostile khanate on Muscovy’s southern border. The khans of Crimea had grand ambitions, too: they sought to reestablish a single Tatar state with themselves at its head, replacing the disintegrated Juchid ulus, better known as the Golden Horde. 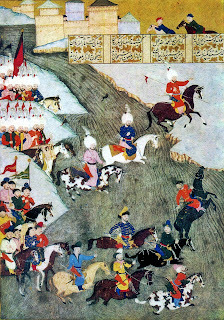 With that goal in mind, the Girei dynasts defeated Ahmed Khan of the Great Horde in 1502, sent persistent demands to Moscow noting that Kasimov belonged to them, and did their best to install their own candidates in Kazan through means that included the assassination of at least one Muscovite-backed ruler, Jan-Ali, in 1535. These activities, too, put Crimea on a collision course with Moscow, which had its own plans to conquer the Tatar khanates. Nor did the Girei khans stop with meddling on the steppe and in Kazan. Crimean Tatars regularly raided the Muscovite lands, stealing people and plunder; launched massive attacks on various southeastern fortresses; and burned Moscow to the ground more than once. And this despite an intermittent but prolonged contest between uncles and nephew for control of Crimea itself that lasted from 1523 to 1537. Not all these events play starring roles in The Golden Lynx and its sequels—The Winged Horse, The Swan Princess, The Vermilion Bird, and The Shattered Drum (the last released in July 2018). But they form the backdrop of the series, in which Tatars of various khanates and hordes interact with Russians in circumstances both friendly and otherwise. The Russia in these novels is an embattled state, despite its expansionist ambitions. Its juvenile leader—Ivan IV (r. 1533–1584), the future Terrible Tsar—has little authority at home or abroad, although every decision enacted by others takes place in his name. His mother struggles to keep him alive and in power; his government locks up his uncles to prevent them from usurping the throne. Foreign states perceived as enemies beat at the gates: Poland-Lithuania, Crimea, Kazan. And beyond Poland lies “the West”—not yet identified as such—with its Italian architects and artillery founders, its German doctors, its Greco-Latin learning and supposedly heretic religion, ready to invade and to judge. Perhaps not so much has changed since 1538 after all. Images: Legends of the Five Directions covers © C. P. Lesley 2012–18; Miniature depicting the Ottoman campaign in Hungary, 1566, with Crimean Tatars in the vanguard and Sergei Ivanov, At Moscow’s [Southern] Defensive Border (1907) public domain via Wikimedia Commons.